Welcome to the DTOS Kimball Tour Page. 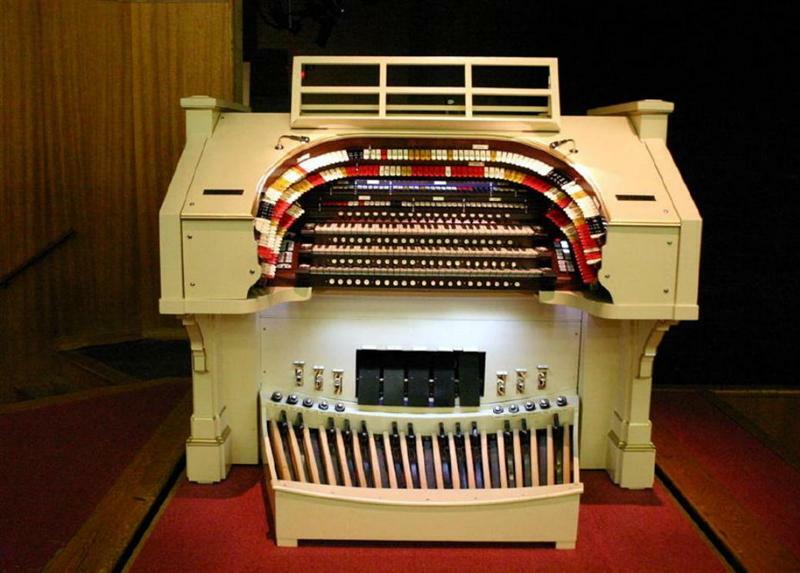 We are proud to present you with the opportunity to tour our magnificent Kimball organ. 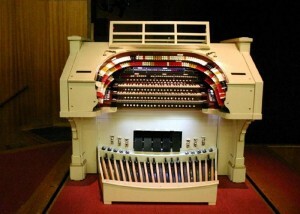 Please click on the links below to “discover” our Kimball organ. CHAMBER ANALYSIS: See a chamber pipe analysis of the Kimball. It’s a great way to start your tour of the Kimball. CHAMBER PHOTOS: See a collection of photos of the pipe chambers of the Kimball. Click here to hear a sound clip of Ken Double & Skip Stine playing “Cherry Pink and Apple Blossom White” from the album entitled “Tribute”. Click here to hear a sound clip of Ken Double playing “My Way” from his album entitled “Double Touch”. Click here to hear a sound clip of Richard Hills playing “Tiger Rag” from his album entitled “Graduation”. NEW MASTER CONSOLE: Click on the views below for a look at the new master console. 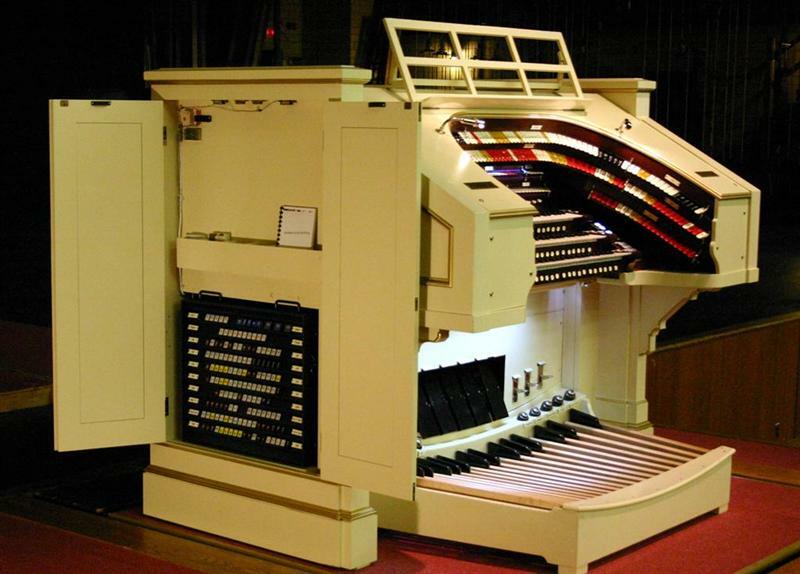 Actually, our “new” master console is not really new. 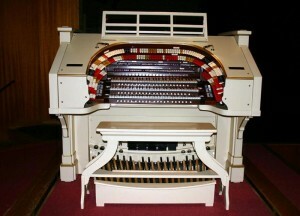 It was originally installed in the Stanley (or Stanton) Theatre in Baltimore. It has been totally gutted and what remains is the shell and keyboards. The rails (where the stop tabs are) are new (created by Kenny Crome); the pedalboard has new key tops; the keyboards have new ivory tops (salvaged from a discarded organ keyboard set) and new stop tabs; and there is a new relay and combination system. We refer to our new console as the “Master” console. We call the “old” console the “Slave” console. Not truly a slave console in the fashion of the 1920’s, this console has its own relay independent of the Master console although its signals run through the relay of the new console. 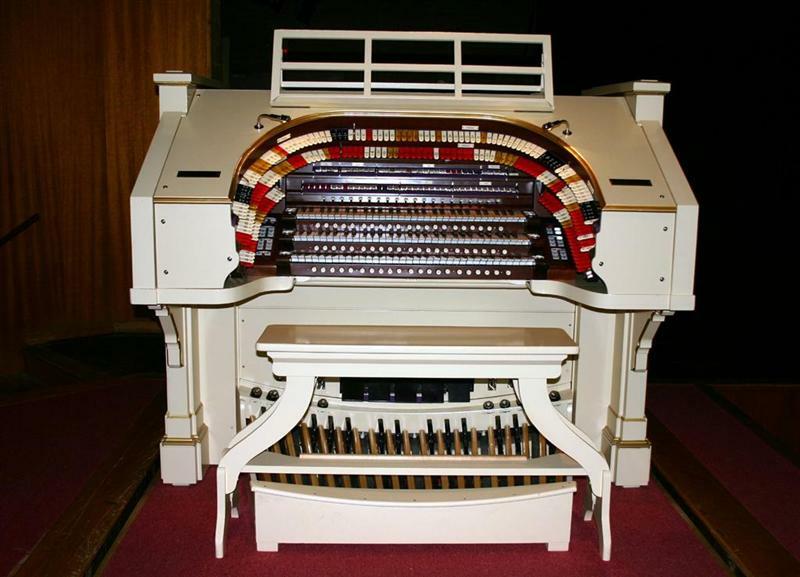 In the 1920’s, a slave console only had keyboards; all other controls were inactive on the slave. Not so with the Dickinson Kimball Slave console. The artist at our Slave console can set his own sounds. — Excerpt from “The Organ Report” article in the May/June 2007 The Vox Humana Newsletter.